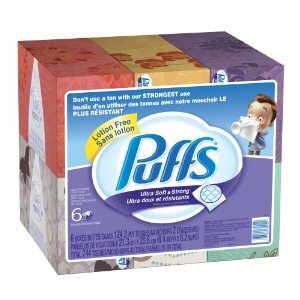 Get 6 Boxes of Puffs Ultra Soft Facial Tissue for just $7.50 Shipped! This one is back! Head over to Amazon and get Puffs Ultra Soft and Strong Facial Tissues, Family Boxes, 744-Count for just $7.50 shipped when you checkout with Subscribe & Save and clip the $.25 coupon found on the product page! That’s a total of 6 boxes! S&S can be canceled at anytime after your order ships from the “My Account” tab!